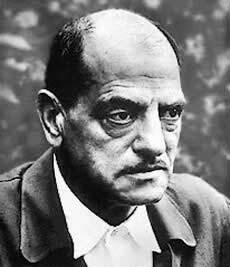 Luis Buñuel: A Subversive Comedian? Lenny Bruce, John Waters, Michael Moore, George Carlin, Larry David, Mark Twain, Jonathan Swift – what do they all have in common? They are great, subversive, comedians. I was not surprised to see their names when I was clicking through this photo gallery. But then I read a name made me pause for second: Luis Buñuel. Not that a Luis Buñuel film isn’t funny because . But I first and always associate Buñuel with Un Chien Andalou, having seen it in practically every film class I have ever taken. As you can see from the opening clip of this (absolutely fantastic) film or even a later film such as Los Olvidados, Buñuel doesn’t scream hysterically funny. Which is why I suppose he has been named a subversive comedian. Looking at Buñuel’s later films, his work is indeed clever and incredibly humorous. Aside Un Chien Andalou, I always think of Viridiana when I consider Buñuel. I first saw this film when I was in high school, before I knew anything about Buñuel, his career and his filmmaking style (hello, Surrealism). In one scene, the characters pose as though they are in Da Vinci’s The Last Supper. Now that is a funny sequence. Buñuel’s humor is just that; intelligently attacking institutions, like the Catholic Church, in a manner that made people think while also challenging filmmaking norms. What are your thoughts on Buñuel? Sound off below.